A major exhibition exploring the early career of British artist John Piper (1903-1992) has opened at Coventry’s Mead Gallery. 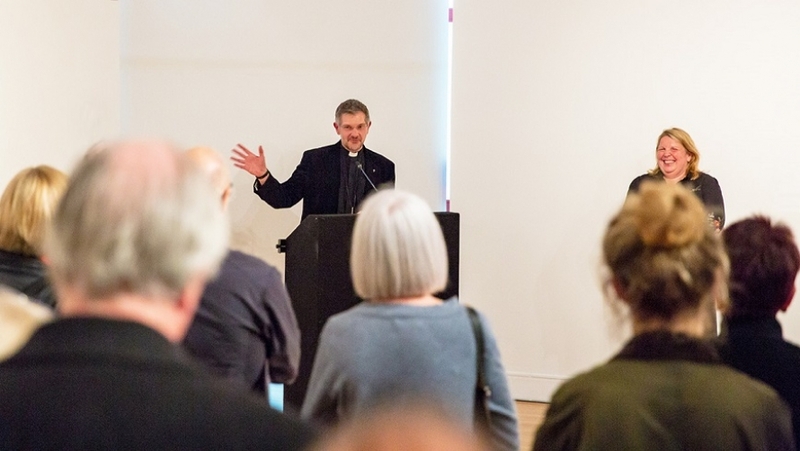 Co-organised by Tate Liverpool, it features many rarely seen items from private collections, as well as loans from such institutions as the Imperial War Museum, the Victoria and Albert Museum, and National Museum Wales. Among the many highlights are one of two images painted by the artist depicting Coventry’s bombed cathedral the day after the tragic 1940 Blitz, and also studies for his monumental stained glass windows for the city’s ‘new’ cathedral, consecrated in 1962. With opening hours extended to seven days a week, John Piper is the final exhibition at the current Mead Gallery space prior to its closure as part of an extensive redevelopment programme. A new gallery space is due to open in the autumn of 2020. John Piper continues at Mead Gallery, The University of Warwick, Coventry CV4 7AL, until Thursday 21 June 2018. Admission free. For details of extended opening hours, travel information, programme of events and creative activities, please visit the Mead Gallery page.